I consider the following interview I had with Mike to be one of the best I have done ever. It was originally published on Wattographs.com back in the late summer of 2006. You puppeteered a lot of characters in Return of the Jedi. Can you tell us which characters you played and what you exactly did for each of them? When I started on Return of the Jedi the screenplay was kept under wraps so we only had a vague idea what was actually in the movie. They would only issue script pages to us of the scenes we were working on due to leaks in the previous movies. Each page was stamped, numbered and signed for and had to be returned when completed. Therefore I actually didn't know what I'd be doing when I was hired. As the movie evolved, more scenes kept coming up and my contract kept getting extended, which was great. The first scenes for puppeteers were in some ways the most complicated. That was Jabba's Palace. It was early on in the studio shoot too, something like January or February of 1982. Phil and Jules Tippett were in charge of the creature shop. They also had an assistant named Jeannie as I recall and Stuart Ziff who was doing some coordinating and technical stuff. Dave Carson (who sculpted Nien Nunb) was over, too. That was pretty well the ILM crew and then they hired UK wardrobe people to assist with repairs and dressing mimes, etc. Initially, we rehearsed on Stage 8 at Elstree next to the Jabba set while it was being built. That's one of the few original stages that's still there now from those days. I remember rehearsing with Salacious Crumb a little, in case I would be needed to jump in at any time. I don't think I ever performed him on film though. One of the first creatures I did was Ree-Yees. He was a heavy fella due to all his mouth and eye mechanisms. My hand was in the head and perhaps doing part of the mouth. I don't remember if I had a cable control to do the lip too. Then there were cable mechies [Editor: "mechanical"] for his eye blinks. The whole thing was almost too heavy actually. They had to support it by having me wear a belt/harness with a pole going into the head, so most of the weight was on my hips, not my arm... well, that was the theory, anyway. So, the first time you see him is when the camera tracks through the archways and Ree-Yees turns his head to lead the camera and laughs. Why do all my puppets laugh? Tim Rose and I also rehearsed quite a lot with Sy Snootles. There were two rigs for her. The wide-shot full-length version and the close-up rig. Some of this is seen in two of those documentaries. For the full length version, I was above her working wires supporting her hips giving her the body movement, while Tim was below working the legs and something else. For the close up version, Tim was up inside her body working her snout movement, while I did her lip synch from a cable control. That was fun. While she wasn't the world's most realistic puppet, it was sad to see her go in the special editions. It lost that grounding that she had being in the set for real. They also hammed up the animation with the entire band so in the end, the puppet was more believable. I'm glad she'll be back on the new DVD! I have a vague memory of getting inside that Toadstool thing from under the set, too, at one point. Then, they needed someone for the slug on the ceiling above Jabba. Of course, he didn't have a name then. He has since been named Wol Cabbashite, or something close to that. C3PO and I had some nice business worked out between the two of us. Usually, the wide shots are shot first. Well, when it was time for the close ups, the director decided it was too distracting having this slug lick 3PO and asked me to not move it. It should have been kept alive at the very least, because if you watch that scene, he's looking good in the wide shots but is totally dead in the close-ups. That was a pity. I remember rigging Salacious onto Jabba's throne and using heavy-duty double sided tape to put his legs into a pose. Then, Jim Henson stopped by to see it all. He took one look at Salacious and it must have reminded him of Kermit. I think he said something like "Oh, I see they are doing Muppets now..." Ha ha! He wasn't far off. Somewhere in there, Tim and I rehearsed Admiral Ackbar too. After that I was called upon to work a tentacle down in the dungeon where Han and Chewie were being kept. That little set had a gutter drain full of slime and water running across the floor to make it look authentic. Harrison told me "Good morning," to which I answered the same back. However, as I did so I stepped into the gutter, soaking my shoe and foot. I remember thinking "Stay cool...perhaps he didn't notice..." Ha ha. Well, he didn't bat an eyelid. I think he was too kind to point and laugh. So, next might have been the Ackbar scenes. Again, there were two versions of him. There was a full-length suit version. Tim Rose was inside him. His eyes didn't move, but there was a mouth cable which I controlled from a few feet away. Then, there was a hand puppet close-up. Tim had his hand in the mouth doing the lip synch and I had cable controls for the eyes and blinks. I remember Stuart Ziff introducing me to Joe Johnston on that set. He was working on story boards for the end space fight, as he was Visual Effects Art Director in those days. It was fun to meet him 20 years later, animating on Jurassic Park 3. Possibly next came Jabba's sail barge or Stage 9. There was a scene shot there between Ree-Yees and was it Squid Face as he was then called? I think it ended up being cut though. I believe our characters were having an argument or something. Also, I was called in to assist with Jabba during his final scenes. I had to work some eye bulges from inside the body. Jabba had to move quite a lot, back and forth with all that strangling and pulling on the chain and from several different angles. He had a little hatch in the back, cut into the fiberglass for access. Well, this had weakened his structure and it started cracking during the shots. Each time getting worse and worse. I was sure the whole thing was going to collapse in a heap on top of us. The drama inside was enhanced when a battery in the head became dislodged and fell and bounced off my head! I was sure we were all going to die along with Jabba!!! Some time later I was called in to do some second unit close up shots of Jabba's tail while he was being strangled. That was a special tail (without Jabba attached) filled with Styrofoam beads, like a big ol' beanbag. Also, somewhere in there was the Ewok village. There were two baby Ewok had puppets. Swee Lim performed one and I the other. They were these tiny little things, but were hollow inside. I remember sticking wire and tape in to help me move the head and mouth. I remember working the grey one (being held by its mother), lying down on the floor, just out of shot as C3PO is telling his story. I think he turned out quite well in the end. I was told that this was the largest gathering of "little people" since The Wizard Of Oz. I can believe it as there must have been about 50 of 'em! That was really fun. A few I've known since The Dark Crystal and are still good friends to this very day. Others I have became friends with since doing signings at shows. That has been a nice bonus. Frank chose me to help with Yoda. He already knew he could count on me, not only from directing me in The Dark Crystal, but I had been assisting him on The Great Muppet Caper doing Fozzie and Piggy's right hand. So, it was logical that he chose me for Yoda. That was a great time too. I loved Yoda so much from The Empire Strikes Back back when I was nothing more than a fan of both Star Wars and Muppets. So I was happy as anything to be doing this! We watched the Yoda scenes with Frank in a screening room. I remember him saying how he hated that in certain shots Yoda's eyebrow was moving with the jaw. That was because the brow was controlled by his finger and it was tricky to isolate that from the lip synch. He wanted to improve it for Return of the Jedi. I think we rehearsed for about three days, working out every beat and movement. Nothing was left to chance. By the time we came onto the set, we were certainly camera ready! I remember the script with Yoda's line "there is another sky...." We were debating that. Another sky? Like another plane where The Force lives? How should Frank play that? He wanted to know what Yoda knew, so he could put the right feeling behind it. Then Dave Barclay had this revelation: "Perhaps Yoda means Sky...walker..." Well, Frank liked that and we kept it in. I'm not sure to this day if that was George's original intention or not, but it worked. Now all the screenplays of Return of the Jedi have that in there. And, finally we have Nien Nunb! Dear old Nien. Or Number Nine as he was on the creature packing list. The spelling of his name changed later as did most of the creatures for marketing purposes, so they wouldn't sound so dorky. For example, Hermi Odle was originally called Hemorrhoid, due to the fact that he looked like a big .. er.. hemorrhoid, I guess? But, you can't have kids asking their parents for a Hemorrhoid toy for Christmas now can you? Anyway, there were two masks of Nien Nunb sitting in Phil's creature shop at Elstree Studios. I used to hang out there quite a bit, causing trouble and all that. They had shot some of the background walk-around Nien scenes with the extra, Richard Bonehill, already by this time. I was looking at one of the masks and was fiddling with it. Then, Phil said that some scenes were coming up with this guy in the Falcon and now he had to speak dialogue. The problem was that he hadn't been designed and built for that. They were thinking they could put air bladders in his cheeks for movement, but his mouth and eyes were static and the only way around it was to cover his mouth with one of those oxygen masks. That's why there are a few pictures that have this. Also, you'll see the Nien scenes in the briefing room he has this hanging from his neck. I put my hand inside the mouth and began moving it like a hand puppet. Phil liked what he saw and suggested it to George. Before I knew it, a film test had been set up, so I had to temporarily rig the head up to work well enough for these tests. They had Richard in the costume version and me next to him working the puppet, side by side. George shot and directed the test. We were asked to look around and talk and go through the moves. I then put my hand up behind his ear to wiggle it. Well George was happy with the concept of it all and asked could he be mechanized with eye blinks and ear wiggles within two weeks to be ready for shooting. Stuart Ziff nervously agreed and off Nien was shipped back to ILM for mechanizing. Well, he came back weighing quite a lot. I had to add extra padding for my hand. Then, his left arm was stuffed and wired so it could be rigged onto the steering yoke in the Falcon. My right hand was in Nien's right hand and Tim Rose, I think, worked ears and Simon Williamson worked the [eye] blinks. They had to cut out the floor of the co-pilot seat for me to lie flat on my back. It was tight and I only just fit into it. I remember the crew were nervous as I was told these were 1973 race car seats and would not be replaceable. Cool, eh? I think the weight actually helped him stay more solid and look less like a puppet. That's why people thought he was a costume sitting there: there were no real visual clues. But, I always take it as a compliment when people say they didn't know. And finally there was Ten Nunb. He was the same Nien Nunb puppet in a white suit and might have had a different hat on. I think he was shot all second unit. He was in a B-Wing cockpit and we just made up stuff. There was no script, ha ha! Anyway, it was cut from the final movie. I'll bet the Nien tests and Ten Nunb stuff is all in the Lucasfilm vaults somewhere. I'd live to see that. I had read that Nien Nunb was Kevin Smith's favorite Star Wars alien. That was nice. I saw him at a show we were both at and jumped the line and presented him with a signed 8x10! Er...Kevin? Where's mine? I think that was it. I probably hold the record for performing the most creatures. Of all the characters you puppeteered, which one is your favorite? And why? Well on Return of the Jedi, it's Nien, probably because I never expected him to keep giving back. I've really grown quite attached to him. He has allowed me to travel the world and meet wonderful people. Even be in a parade at Disney! How can you not love that? I think he will always give back to me. He has allowed me to leave something behind that is a part of cinema history. People will see him centuries from now. That blows my mind. Outside of Return of the Jedi, I've had some fun with assorted characters, but one that is close to my heart is Diddley Sqot, the alien formerly known as Thing. There's a lot of me in him, so he's definitely an alter ego. He was on a cable show in England and the Netherlands years ago. They used to broadcast simultaneously in both languages, if you can believe that. He even had his own chat show briefly. I think the ratings peaked at that time with about four-to-five million viewers. After they cancelled that show, the ratings dropped (well done, geniuses!). So, I'm re-developing him now and he will return to annoy an unsuspecting world! There are various pictures of him on my web site. Well, besides Diddley Sqot, I decided to take a break from giant-corporate animation. I've been puppeteering again and there's been quite a bit of puppet building, too, in the last couple of years. I've done some acting without puppets and really enjoyed that. I was in an independent short film based upon a Neil Gaiman short story called We Can Get Them For You Wholesale. I played the main guy, an Englishman who wanted people murdered. We shot that on film in and around Oakland, California. There was one scene where we did some guerrilla hidden-camera shots down a dark alleyway in San Francisco. We didn't have permission from the police to shoot, so the camera and crew were hidden way off in the distance. I had to walk into this alleyway, looking all lost and insecure. I guess I did a good job, because within minutes a guy was in my face with a knife! He was crazy and wanted to mug and slash me. Of course, I was in costume, so showed him my empty pockets. I think I talked my way out of it by telling him that I was undercover and the cops were watching me and that he'd better move away fast. By that time the crew saw what was happening and whisked me away. I was also in the play Rope, which was based upon the original 1929 version in London. I played...er...an English murderer (starting to see a pattern here?) and had a great time with that. I wanted to prove to myself I could do it and perform all those endless monologues! I was stunned to find out later that the very first person to perform my role was none other than a young Sebastian Shaw: the unmasked Darth Vader in Return of the Jedi! Almost spooky, eh? Can ya feel The Force? Right now, most of my time is being spent answering these questions (just kidding). I'm focusing on my production company QuinnZone Studios. I'm developing television and film projects and am halfway through a docudrama called Welcome Home Stan Laurel! It's based upon his return trip to his birthplace in England, where he was given a heroes welcome. He later said this was the happiest day of his life. It's really coming together nicely now and I even have Lois Laurel-Hawes supporting me, who is Stan's only daughter. Back in 1982, when Return of the Jedi as being filmed, how did the character selection process regarding the puppeteers go? Who decided you were going to do Nien Nunb for instance? That's a good question, as I'm not sure how I got to do all of them. Tim and I knew each other well from Muppet Caper and The Dark Crystal, so it was obvious for me to assist him, I guess. As mentioned above, Frank chose me to help with Yoda and I kind of weaseled my way into Nien Nunb. The rest was random, I think. They knew I was one of the few hand puppeteers strong in The Force, so maybe some of that was Phil & Co.? Mike in the play "Rope"
Your colleague Tim Rose once told me that he sometimes joked on the set with his puppets, especially Salacious Crumb, which led to humorous situations. Did you do that, too? In other words: can you share some of the fun stuff that happened on the set? Well back in the Return of the Jedi days, although it was my third movie, I was still only seventeen and was mostly pretty shy and quiet (if you can believe that). So, I mostly behaved and concentrated on getting the job done. I couldn't say that is true of me now though . I remember making Harrison Ford laugh off the briefing room set when he was taking a break. I was sat next to him in the continuity lady's chair and had to hurry out when she returned, telling her I was keeping it warm for her. For some reason, that cracked him up...must have been a Stan Laurel moment or something. Billy Dee showed me a trick with an English Pound note while we were in the Falcon cockpit (although why he needed UK Sterling to blow up the Death Star I'll never know). On The Dark Crystal I used to hang out a lot with the little people. I remember a "tying shoelaces together" episode getting out of control at one point! Maybe there was even something about some of 'em tying up Kiran Shah and shoving him in a closet or something, but you'll have to ask him about that. On Labyrinth, I remember Kenny Baker in his goblin costume in the Goblin Village scene catching fire. The fireman soon rushed in and rolled him around and put him out. The great thing was they were shooting wide shots with multiple cameras simultaneously. The next day, we were watching the rushes in the screening room and could revisit this event several times over from lots of different angles. I'm sure there was a lot of uneasy squirming of the assorted producers in the room. It was awesome! 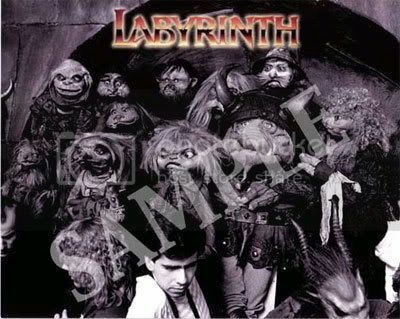 Also, George Lucas was Co-Producer on Labyrinth, so he was around quite a bit. He must have been quite tired at one point, either from jet lag or working too hard. One afternoon, he was sat on his directors chair just off set and couldn't keep his eyes open. He was well and truly asleep. Once of the Henson crew had a Polaroid camera and took a picture of it, right up close and everything. Of course the noise and flash woke him up! I'm sure he was embarrassed, but he was great about it and saw the funny side (lucky for us). Billy Dee MY co-pilot? HA HA!!! Whenever I see him these days, I tell him I'm his sidekick. I like the sound of that! I'm Robin to his Batman! It was probably the first and last time he worked with a puppet. He was great though and we chatted about his visits around London. He laughed when he saw my eyes light up as he told me he'd been to the Punch and Judy Pub in Covent Garden! He was a pro though and treated Nien as he would any other actor. It's nice that we get along famously in recent years. 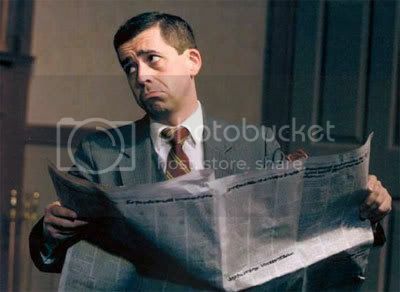 There goes a story that an African student called Kipsang Rotich provided the voice of Nien Nunb. Can you confirm this? Why didn’t you do the voice yourself? That's absolutely true. Usually with regular puppet characters and Muppets you provide your own voice live on set and that's it. Traditionally these sci-fi movies almost always re-voiced these films in post. Even actors often have to come in later and "loop" themselves. It gets better and more consistent sound from shot to shot and day to day (some scenes can even take weeks to shoot). There's no way your voice can sound the same from morning 'till night, day after day. Also they might have wind machines going or verbal cues for effects guys or creaky hollow sounding wooden floors that are meant to be stone or cement etc. So hardly any of the original sound ends up being in the final film. It's an art unto itself, hence the need for Ben Burt and Matt Wood and all. As with all us creatures, we were all dubbed later, every single one of us (Frank most likely even re-dubbed Yoda later) from Yoda to Bib Fortuna to Boba Fett. So the idea is to put down a guide voice, which is what we did. Now right from the start, they knew Nien was to speak an alien language. Now I might come from "Norf London," but alien is pushing it a bit. The script pages just said "Nien Nunb chatters to Lando" and that sort of thing. There was no dialogue written! Lando had his responses so he was fine. I thought that it would be much better to say something logical in English that would not only help Billy Dee with his emotion and cue his lines but also help in editing too, especially knowing it was all going to be replaced later. So what I did was mark on my script what I thought the lines should be, i.e. "Tie Fighters at 12 o'clock" and "we're not getting a reading on the shield" etc. On the morning of the shoot I actually showed it to George as he was directing that scene. he looked it all over, looked up at me and said "fine!". So that was that! The great thing about post sound is that Ben and his crew were able to really focus on the different qualities of voices and "design" them with an overview of the whole film in the comfort of Skywalker Ranch. Using a real language and dialect gave it a truth and a certain reality (except for people watching this in Africa of course). He made the characters in the movie sound much better than our lame-o voices on set! The only thing I would have changed would have been to make Nien's cheer stronger and bigger and his laugh more guttural. That was more what I was going for on set and I think the final thing weakened his energy a little. Did you meet ‘the big 4’ (George Lucas, Mark Hamill, Carrie Fisher, Harrison Ford)? What do you think of them? How were they on the set? Well you've already seen my Harrison Ford stories. Funnily enough I never met George the whole 12 months I was working at ILM even though he was around - HA! I did however meet him again a few years ago at a Visual Effects Society event at Pixar. George, Phil Tippett and all the Pixar guys were there. It was like my old bosses were all having a reunion! Ray Harryhausen was being given a special award. As you may know Phil was an old friend and admirer of Ray's work. Well Phil and I were catching up. He introduced me to Ray. Somehow we got onto the subject of Laurel and Hardy and before you knew it, we were all three doing Laurel and Hardy impersonations. It was a wonderful moment! Later I went up to George Lucas and reminded him who I was. I think people are afraid to speak to him out of fear or something. He certainly remembered me and grinned, which was nice. He spoke of how puppets were a medium for the theater these days, like The Lion King and that sort of thing. That was interesting to hear him say, as he was never really a puppet guy of course. I think the limitations are what bothered him, unlike CG, which allowed him to do anything at any time (even decades after the original film release with the special editions). I can understand him saying that. He's not Jim Henson, he's George Lucas. I personally don't agree and while they can be wonderful on the stage know that it's really up to us puppeteers and film makers to decide what gets put on screen and how well it can be done. It is my opinion that 99% of all Yoda in Episodes 2 & 3 could have been done with puppets and special puppet rigs, even the fighting. There are very few companies who can pull it off however and build the ultimate Yoda and get the world's best puppetry but it could have been done. It would have taken more planning up front and lots of puppeteer removal etc but it would have looked GREAT!!! Oh I got off track there. Carrie would always offer a smile and pleasantries. She seemed pretty .. er.. relaxed. Mark was awesome. I recall him telling me during the Jedi shoot that he used to be the youngest one on set and now he was feeling old as I was the youngest. Well hey, the wonderful Warwick was younger than me again- but we won't go into that ;) I've met Mark more recently and it turns out his son Nathan likes Nien Nunb so I made sure he had a signed picture too. That stuff's always fun. You’ve been one of the few who has made the successful transition from actual puppeteering to 3D animation and puppeteering. How was it to come full circle from assisting with Yoda in Return of the Jedi, to animating his first-ever fight scene versus Count Dooku in Attack of the Clones? Well that's true, there's barely a handful of us. I'm also one of the few original cast members to have worked on both trilogies. I think there are two parts in answering this question. I'll start with the Star Wars part. My original plan was to go to ILM and bring some continuity to the CG Yoda, as I knew that was their plan. I'd worked on the original and also I knew how to visually mimic Frank's puppetry style as that's what I'd done many times on Muppet projects with Fozzie etc. The reality turned out a little different though. Even before my training was complete at ILM (and not ready for the burden was I), they needed me over on Jurassic Park 3 for dinosaurs. They had lost one of their guys to another contract and were in the full throes of production. So I spent half of my time on that movie. I actually enjoyed that project. They had a good team and I liked working for the animation director Dan Taylor. He was appreciative of what I was trying to do and also very helpful. So by the time I went over to Clones, much of the animation crew had already been established to say nothing of the pecking order these larger companies have. You need to be with them for a little longer than I had to be "awarded" the bigger shots. That's just how it works. There was one 4 second Yoda shot that took me weeks to animate due to shot length changes and modeling issues. I could have done that same shot as a puppet or MOPCAP performance capture in less than an hour and with multiple takes too! so that was frustrating to me. Also, I had ideas about how the face could have been rigged to simplify expression and lip synch, using more an animatronic approach. I actually spent some time creating my own sets of animation controls that I felt helped perform his face much more accurately. There really should have been some puppet video reference for all of Yoda's shots. It was good enough for Snow White right? In fact, you only see a little glimpse of it in the making of Clones DVD but my favorite Yoda animation is still the initial tests they did, using Franks Empire Yoda as a rotoscoping reference. Even though his textures were not even there he still looked more like Yoda to me, because of the cadence and energies. It was those tests that convinced George to go with CG for Yoda. I think there was a tendency to even out some of Yoda's dynamics in CG. They are all fantastic animators otherwise they wouldn't be there but they weren't puppeteers. Even when Yoda was dying, he still had more bursts of energy than his regular acting scenes in Episode II. He was close but he wasn't quite Yoda. They worked hard to get some nice subtle acting close ups in Episode III. I think in the future, if they can't or won't use a puppet or they don't want to mocap him, use video reference. It will make ALL the difference, believe me. There were other jobs that were just plain fun though. I got to animate some Dooku head replacement over the stunt actor's body in the fight scene. Also there were four pit droids in the corner of one scene and Geonosians and other beasts. Now the other part of the answer. I see using CG as another way to bring an inanimate object to life. It's an evolution of technology, just as using cables or radio control was on animatronics on the Dark Crystal. So far it has been a lot slower although that is beginning to change. Part of the problem I have is that the working methods are different with the animation shops. On Return of the Jedi I was able to do anything I felt appropriate with character's like Nien Nunb, even in big screen close up! I couldn't understand why all these years later shots often were over analyzed by several different levels of directing animators either unable to trust my choices or trying to put their stamp onto the shot. It's too easy for the soul of the character to get lost when it's a shot "performed" by committee. That's animation old school and I'm sure it works fine using the traditional animation factory model. Often when working radio controlled puppet parts and watching your work on a monitor, or doing blue or green screen puppet work, you are working virtually anyway, so a CG character is really just another puppet, only with different controls and slower visual feedback. 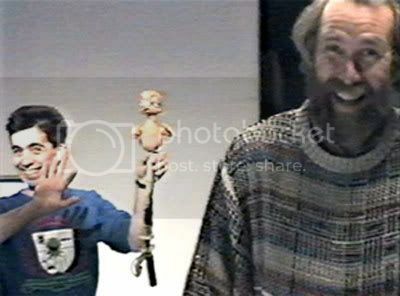 Jim Henson was actually puppeteering CG characters back in the mid 1980's. Sure, they had to be post rendered but at least you had a real time wire frame to see, live on set. A little later I worked on some episodes of Jim Henson's Animal Show, which featured a CG bee that flew around the screen in front of the other real puppets. I could give her turns and barrel rolls, whatever I wanted. That was great! It almost feels time has stood still in the last ten years with these studios. Everything still has to be key framed using a mouse and keyboard. So many poor animators are crippled with RSI. They need better input devices like a desktop box with buttons, sliders, joysticks and pivots that you can assign different functions to. That's the way to speed things up. The technology has been here for a few years now. Why do the studios fight it? Because it's new and animators are not trained the same way puppeteers are. Funnily enough though, I think knowing animation has improved my puppetry too. Happily there are some real opportunities on the horizon that finally bring the skills of puppetry and animation together in real time. More on that later. You might know that there is a Star Wars Television series coming up. Any chance you will be involved? Would you like to do it? You recently stopped doing conventions. What was the reason to quit? Did you lose the fun, don’t you have enough time? There were two main reasons. One was I was getting tired of chasing after bounced checks, broken contracts and empty promises from promoters. Some of them seemed to not to take the business seriously and thought it was okay to jerk other people around. It actually takes a lot of time, energy and even money to do all this flying around the world. While many promoters are great to work with, there seem to be just as many who are greedy and ask way too much. You would think they were in the movies, the way some of them carry on. I think those people are killing the signing industry. It has certainly changed in recent years that's for sure. So I have to be very selective now. I still enjoy shows as much as I used to and hope to do the occasional special one from time to time. It would be nice to just be a fan once in a while though. I think perhaps Jerri and I might go to Celebration 4 just as fans in costume, as Mr. & Mrs. Nunb! That would make a nice change! The other reason is I need to focus on QuinnZone Studios as there's a lot of new stuff I want to do. I need to put most of my energies and time into my future at this time. It's very creative and exciting. 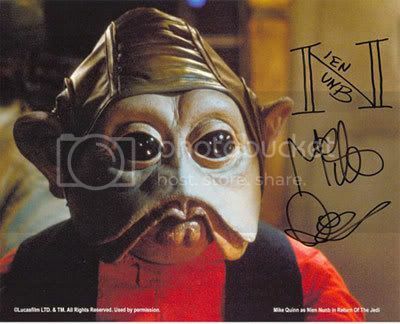 When signing photos and other items you always draw a big ‘N’; and write Nien Nunb’s name in it. Where does this idea come from? Well Star Wars always had these cool logos and graphics and I wanted him to have an almost alien graphic to his signature yet still be readable. It's like his special insignia. Also each Muppet always had it's own distinctive signature that belonged to that character more than the performer who operated them. So I just put those thoughts together and came up with something fun. hopefully it's memorable if nothing else. What is the strangest and the nicest thing you have ever received from a fan? Free drinks at the bar always go down well... Well seriously, I have quite a collection of stuff now. I plan to scan some and put pictures up on the site eventually. Of course there's the Mike Quinn action figure someone made. I also have a fair amount of original artwork which is really cool, because it took a lot of time to do those. The cookies and chocolate has long been eaten but is always welcomed!!! Oh, someone gave me a Christmas stocking with my name on it and I have a Kimono from Japan I still wear. I mustn't forget the very loud song written about Nien Nunb that I'll also be posting on the site, ha ha! The nicest thing to receive is always to hear that someone has genuinely enjoyed something I've done or been entertained in some way. Positive feedback is very gratifying. You have worked together with the legendary Jim Henson; probably the best puppeteer ever. In which way has he influenced your career and way of puppeteering? In every way. He will always be missed. I owe so much to him. As a young teenager I was shy and lacked self confidence. When TheMuppet Show came along in the mid to late '70's it gave me something healthy to obsess about. I tried to learn that style of puppetry and puppet making techniques. At home things were not good due to parents divorcing and all sorts of turmoil. It was great to be able to hide away and learn some of my craft. Jim gave me a chance as a kid fresh from school at barely 16 years old. He had the ability to see people's potential and treated everyone equally, no matter what their age, class or background. He was somewhat of a father figure too. I had the perfect environment to learn from the best! It jump started my career and I never looked back! I feel like I grew up during that time, from the Great Muppet Caper through The Dark Crystal to Return of the Jedi all at Elstree Studios. It was a very special time for me. In the last decade, CGI is the reason that there aren’t as many puppeteers as before. Computer animation is taking over. What are your thoughts on this? The future of puppetry verses animation. There will always be both. This relates a little to what I was saying earlier. I think this is a misconception about CG taking over etc. There are still approximately the same number of puppeteers around today. Many of them may not work as frequently or are keeping busy with lower profile jobs. It just appears that there are less due to current trends. Many big movies are actually using combinations of puppets and CG but because they are inter-cut, most people assume it's all CG. Cats and Dogs, Stuart Little 1 & 2 and Jurassic Park 3 are all good examples. Even Chronicles of Narnia and Hitchhiker's Guide still had some puppet work in them. Some of the masks on Star Wars Episodes II and III still needed their faces puppeteering. The current trend is to use CG for creatures but the CG industry still has a lot of growing up to do. More often than not they would be better being done with REALLY GOOD animatronic puppets. It purely comes down to the producer and director's choice. Some know that a badly done puppet can look worse than badly done CG and it's almost expected of them to use CG anyway. It has street cred and helps with funding and publicity. I have a film project I'm developing and I'm almost certain the main character will be a puppet, even though most other film makers would choose CG. Part of the problem is also that we don't have any Jim Hensons around to push the limits of puppet entertainment. Television wise the landscape has changed. There are so many reality shows now and the market is so fragmented, there's no way a Fraggle Rock or Muppet Show could be produced any more and that has nothing to do with CG. It has to do with Jim Henson being gone and the TV industry changing. I firmly believe that it is up to people such as myself and others to get out there and make stuff happen! Most people come up to me at shows and still tell me they prefer the puppet Yoda to the CG one. I wish all producers and directors could take note. The light at the end of the tunnel is with technologies such as PerfomFX's real time glove animation system. That's Dave Barclay and Bruce Lanoil's company in Los Angeles. This puts CG animation squarely back into the hands of the puppeteer. Just like using a puppet again! In fact here's a scoop fresh from Hollywood: They are animating faces for Warner Bros. new movie Where The Wild Things Are, Maurice Sendak's famous book. They are putting CG faces onto live action creature heads and bodies shot on set. FINALLY after all these years studios are getting it. It's animation and puppetry coming together at last. Ironically, I believe Mr. Sendak was a good friend of Jim Henson's and the Firey creatures in Labyrinth were originally called Wild things! Funny that eh? 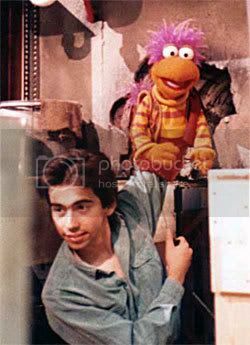 On Fraggle Rock you puppeteered both Gobo and Sprocket. What are your fondest memories regarding this series (and these characters)? And Uncle Matt. Just on England, French and German co-productions though. I just sent a bunch of stuff off to possibly be included on the DVD box set of Fraggle Rock Season 2 so you may see footage or at least photos of some of my work on these. We worked on these shows for several years, sometimes doing the same episode 3 times in each country. 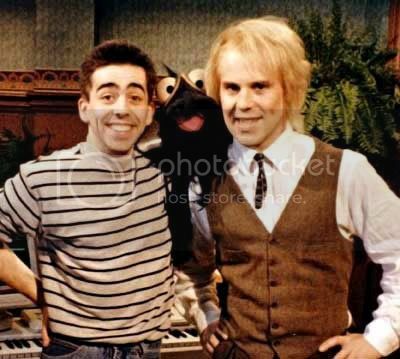 Fraggle Rock was the first time I got to stay in a hotel, the first time I went to France and Germany and I really enjoyed doing many of the Uncle Travelling Matts out on many strange locations. The English actor Fulton Mckay used to get my toast and strawberry jam early every morning for script read-throughs. That was so nice of him. There was one time doing German Sprocket, for some reason I had to speak a German work in "Sprocket-ese" and somehow I just couldn't get it. I got the giggles during each take and soon the whole crew was in laughter. Dave Barclay and I had fun hanging out with the second UK actor John Gordon Sinclair. He was great fun. One night we were all on location down in Cornwall and we decided to haunt the producer/writer's room while he was out getting dinner. We were frantically drilling holes in walls and rigging up wires for coat hangers to rattle. Gordon, the actor used to be an electrician so he rigged up the lights to dim. Well, ever the documentarian, I got it all on video tape!!! It was awesome!!! The Dark Crystal and Labyrinth were the two serious puppet movies of the 80’s. Regarding Labyrinth: how was it to work with David Bowie, a legendary musician? Regarding The Dark Crystal: Why do you think it has got a huge cult-status, but wasn’t the blockbuster back in 1982 when it was released? I didn't know Labyrinth was a serious movie? It was seriously puppet but I saw it more as a musical comedy. I think Jim just meant for it to be fun entertainment maybe. David Bowie was great. A real pro, down to earth and smart. If he were not, he wouldn't have survived all those decades and ch-ch-ch-changes. He even made fun of his "Tina Turner" wig as he called it. One of his recordings from the early 1970's was a little known song called laughing gnome, more of a novelty record really. It went "Ha--ha-haaaa, he-he-heee, I'm a laughing gnome and you can't catch meeee...." in a chipmunk type voice. Well during one of the more meaningful scenes between Jennifer Connelly (or Connifer Jennelly as I used to enjoy calling her) and David Bowie, I had the soundman play this out on set with goblins popping up and singing it. I was sure I'd get us all fired!!! He just laughed as I think Jim did and they got back to what they were shooting. I saw more of Mr. Bowie later when we shot a couple of music videos, directed by the famous Steve Barron. We did "Underground" and "As the World Falls Down" I think it was. I did the Junk Woman dancing and racing down some stairs in one of those. The original film Jim Henson wanted to make was a lot longer. I remember seeing the preview at Pinewood Studios. At least two hours I think. 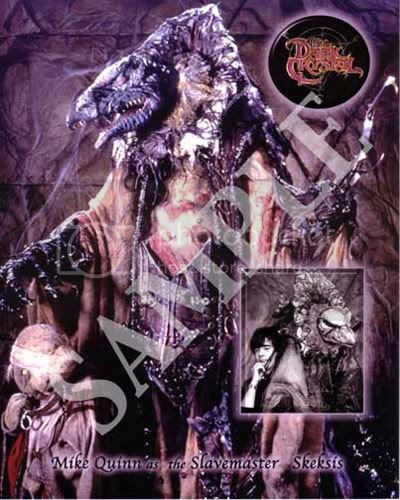 Also the Skeksis all spoke their own language, the way we had shot it, which was awesome!!! The studio probably chickened out, shortened the cut and made 'em all speak English. That's a pity as I think Jim was ahead of his time and perhaps Universal felt audiences weren't ready for this kind of art film? Therefore they didn't push it that much with marketing and all. So financially it was not so much a success. Creatively it really was. Very rarely since then have I seen such beautiful puppets. They were designed and mechanized so well and we all even had to figure out how to move these things. Just crazy stuff you take for granted like when to blink, how to blink and why. I'm quite amused and actually somewhat surprised when people tell me that movie scared the pants off them when they were little kids. I never thought of it as a scary movie - ha ha! It was unique though and very visionary! We all worked so hard on that film and it makes me very happy that people remember it after all these years. Their eyes light up when they see my Dark Crystal picture at conventions. It's also great that the newer DVD's had a great vibrant remixed print along with the original documentary. The movie never looked so good. Some of the reasons it has cult status must be that it was unique and real. Almost everything was shot in front of a camera on film and the audience responds to that. It was truly magical at that time. Even to this day I don't know how we pulled it off. You are also credited with animating the black and white scenes featuring Woody in Toy Story 2. How was that experience? It was pretty funny, actually and probably the most fun I had at Pixar. I got to have a say in how it should be, which was nice. Before I came on board they didn't know how "bad" to make the puppetry. I felt that there needed to be some truth to the show and that it should look like there really could have been a show like this in the 1950's . The perfect reference was really the Howdy Doody show. Being a puppeteer I wanted to be respectful and not do a send up of it. That would have been too easy. I devised where the strings needed to be attached, where the pivot points for the eyes and mouth should be and made a bunch of animation tests to set the style. Even adding a little bounce as the eyes open, as though they were hitting a little rubber stop inside the head. At that time Toy Story 2 was still going to be straight to video. We were all having fits because we knew this deserved to be a theatrical release. A little of the animation and story work had been done for the video release but most of the crew got pulled off to save the day on A Bug's Life. At one point there was just me and one other animator working on Toy Story 2! We were making all these animation tests that got sent off to Disney. Tom Schumacher was the exec at Disney at that time and everything had to go through him. I had a Woody puppet custom built which was loaned to Pixar to take down to the presentation too. Well it turns out that many years ago, Tom was a puppeteer. It was during this mysterious time that the video suddenly changed into a movie. I would like to think that in some small way these animation tests and puppet all helped to turn that thing around. It turned out to be a very sweet movie. 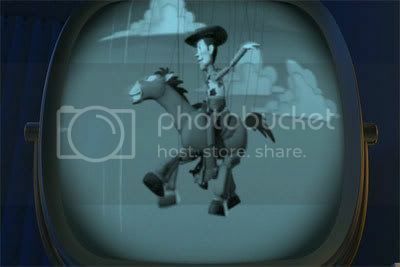 I'm proudest of the Woody's Roundup work the most on that movie as most of it looked real. Of course they could have just shot a real marionette show but then it wouldn't be animation (and they would not be eligible for best animation feature at Oscar time). Dang, even each and every string had to be hand animated- no simulation was ever used!!! CRAZY! Can you tell us about the scenes you animated in Jurassic Park III? Were there any special difficulties when working with digital animation within the framework of live action footage that it has to be incorporated with? Mostly there were technical issues and I really am not interested in the technical stuff. I had to import updated stuff each day onto my computer and bring it into my shot to make sure I was working with the latest models, backgrounds, match moves etc. They each came from a different place and at the end of each day a render had to be sent out for reviewing. That was always a major ordeal, making sure I'd pushed the right buttons and entered the correct geeky code! The biggest thing for me was when a match move was still being worked on. I had to line up the Spinosaurus to chomp through the bars at the actors but I still wanted to see his eye and not have it be blocked. Well I think the final shot was still a little different to my final because his eye wasn't as in full view as I'd planned. That stuff is out of your control. The falling T-Rex was pretty straight forward. I had fun putting in a little death twitch in his leg. They liked that and kept it in. It was a good lesson in weight and mass and physics. That's some of the problem I have with CG effects. The physics just seems to go out the window and nobody seems to mind but it kills the reality, totally. When I put in a bunch of Baby Pteranadons into my scene it became so heavy the computer would choke to a stand still. It's hard to animate when it takes two minutes to advance to the next frame! I had fun though and there were some really good people there for sure. To sum up, I feel very privileged to have worked on these projects and knowing that people care and enjoy it really makes it all worthwhile!